An essential part of the estate planning process is getting your questions answered and your concerns addressed. Below you will find answers to many of your estate planning questions, but you are likely to have additional questions as well. Be sure to consult with a qualified estate planning attorney. Also, be sure to check out parts 2 and 3 of this article. I’m married, why is a power of attorney necessary? While spouses frequently sign their spouse’s name, it is not legal to do so. You need legal authority via a financial (i.e. general) power of attorney. You also may think that because you own much of your property jointly you don’t need your spouse’s signature to manage your assets. 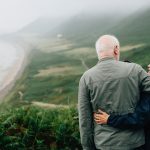 This will be true until a guardianship proceeding is necessary to manage some aspect of your spouse’s financial life that you can’t such as his retirement accounts. When the court determines that your spouse is incapacitated, your joint accounts will be frozen. Even if you are named as the guardian (which is not guaranteed), you will have to seek court approval to sell your home and spend your own money. Publicity seems to be a huge factor in probate avoidance. Most people want to keep their financial and family life private and not accessible to nosy neighbors, predators, and disgruntled heirs. Avoiding probate also saves time, money, and stress. The day you turn 18 is the ideal day to execute your estate planning documents. Every adult needs his or her own individual estate plan. So, it’s never too early (or too late) to get started. How do I make all these decisions? Estate planning is full of difficult conversations and lots of decisions. Just make the best decisions at the time, knowing that you can change your mind and update your basic estate planning documents anytime you are alive and well.